Today I’m going to share some options for setting up a retirement requiring $50k in annual spending. I get a lot of questions like “How can I retire?”, “What can an average person do to retire?”, and so forth. This post should answer a lot of these. 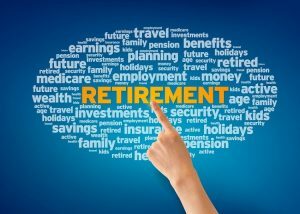 There are many ways to retire (of course) but I’ll detail four of the most popular/likely options plus add some commentary on each. Then you can chime in with your thoughts! Before we dive in, let’s start with why I selected $50k. I got this number by looking at U.S. median household income ($56,516). Then I deducted a bit assuming someone reaching retirement saves at least part of their income, which they will no longer need to do once they retire. BTW, they also may have no house payment as well, and thus need well below $50k, but this seemed like a nice, round number we could all generally agree on. Plus it’s a number I think I could live on myself (though I don’t want to), so that’s another point in favor of using it. If your specific number is a bit higher or lower, at least this post will have gotten you in the ballpark. If it’s a lot different, you can use the same math here to calculate your specific numbers. This is probably the most common scenario discussed on the web today. Saves a ton of their income. Gets to the point where they have enough to support their spending needs. Retires and lives off withdrawals. We could debate the 4% “rule” until the cows come home, but I’m going to use it here for demonstration purposes. As with all these numbers, if you want to use something else, simply run the figures with your own assumptions. Using the 4% rule, if a person wants to withdraw $50k per year she will need a nest egg of $1.25 million ($50k / .04) to do so. So how does she get there? Our potential retiree currently makes $57k per year (the median). We’ll look at two savings rates: 15% and 30% (one more standard and the other double that). We’ll assume she can get 8% annual return on her money. Given these assumptions, that means she’d either save $8,550 per year (15%) or $17,100 per year (30%). It would take her 33 years to reach $1.25 million at 15%. It would take her 25 years to reach $1.25 million at 30%. That’s a long time, but those are the numbers. From here she can weigh the difference between spending less for 25 years and retiring sooner or living it up a bit for 33 years and retiring then. Different people will make different choices for various reasons. In summary, we’re looking at 25 to 33 years for option #1. This doesn’t only have to be a “traditional” side hustle. For the purposes of this post “side hustle” could be something like owning real estate, working an extra job (versus owning a business), and so forth. This idea will require a bit more art than science to be evaluated. How long do you would think it’d take you to create a side hustle that churned off $50k in income a year? Because that’s what we’re talking about here, right? “An eternity, because I don’t think I could ever get to that level.” If this is your response, then this option is not for you. “I don’t know if I could earn $50k, but I think I could earn some decent money.” Ok, that’s what the options below will be about, so stick with me. “Less than 25 years.” If this is your answer, you want to start your side hustle immediately as it will get you to financial independence before option #1. If I had to do it all over again, I think I’d pick the last one as I know with a pretty good bit of certainty that I could develop a $50k business. Maybe not all in a side hustle, but between real estate and a side business, I think I could do it. Which way would you answer? I’ve covered this subject in different ways in How a Side Hustle Business Can Get You to Financial Independence in 10 Years and ESI Scale Financial Independence Calculator, but we’ll review it here again in brief. The idea is that you keep saving at 15% or 30% PLUS you start a side hustle. You won’t have to save $1.25 million, thus lowering the number of years you have to save. You won’t need a side hustle that earns $50k per year, which could be a bit daunting. The potential retiree creates a side hustle that earns $10k per year (fairly reasonable and achievable by many). He creates one that earns $25k per year (a bit more challenging and limiting). If he creates a $10k per year side hustle, he only needs to save enough to generate $40k extra income per year (which is $1 million at 4%). At 15% savings rate and $10k side income, he reaches an annual income of $50k in 31 years. At 15% savings rate and $25k side income, he reaches an annual income of $50k in 25 years. At 30% savings rate and $10k side income, he reaches an annual income of $50k in 23 years. At 30% savings rate and $25k side income, he reaches an annual income of $50k in 18 years. Some of the results are rather close to the original numbers (just a few years off). It’s because once the savings reach critical mass, compounding takes over and it outpaces earnings. That said, the final option can cut seven years off the path to retirement! This is like getting 21 years of life back. Not bad! By the way, that’s compared to “saving only” at 30% — it’s 15 years better than “saving only” at 15%. One thing option #3 does not account for is the fact that if you have a side hustle AND you save a good portion of that income, then you can retire much earlier. If you save 15% of your job earnings plus 75% of your $10k side income you can reach an annual income of $50k in 23 years. If you save 15% of your job earnings plus 75% of your $25k side income, you can reach an annual income of $50k in 14 years. If you save 30% of your job earnings plus 75% of your $10k side income, you can reach an annual income of $50k in 19 years. If you save 30% of your job earnings plus 75% of your $25k side income, you can reach an annual income of $50k in 11 years. Anyway, you can see how much of a difference the combination of saving + saving on a side hustle makes versus simply saving from your job. At the most the difference is 19 years!!!! Plus you can see that there’s not much difference between saving 15% or 30% if you have a $25k side hustle. Anyway, look over the numbers and think through which option might be do-able for you and your family. But none of these options are the fastest ways to get to a $50k retirement. Why do I say that? Because there are several ideas that speed each of them up. You can earn more. This could be at your job, your side hustle, or both. Earning more means that you’ll be saving more, even if your savings rate stays constant. You can save more. It’s not like 30% is the ceiling savings rate. This could go way higher (though at $57k income it might be hard — you may have to combine it with earning more). And you certainly could save 100% of your side hustle income. You can make better investments. Maybe 8% is as good as you can do or maybe you’re Dave Ramsey and can bring in 12%. LOL! The hybrid model is definitely the way to go in my opinion. Creating a side Hustle also protects you as have diversified your income streams in case something happens to your primary job. I am tried to build a passive income empire mainly through real estate and the money thus far is already at the $50k/yr level on its own (I’m shooting for a much larger $125k/yr draw for my planned retirement though). The best thing about passive real estate income is that you get the positive cash flow without having to cannibalize the capital (the goose keeps on laying golden eggs). So it can continue on indefinitely. There is another problem with the conventional approach. In 25 years you will need $82,000 to match the buying power of $50,000 today with a 2% annual inflation rate. That means instead of needing $1.25 million you will need over $2 million. The quicker you reach your goal the less it will be eroded by inflation so the less you have to save. Great post and analysis. Are you sure you’re degree is in marketing and not engineering? lol! You’d make an engineer very proud. I’m helping a friend whose income is well below the median you’re using here. I’m encouraging him to focus on increasing his earnings. He’s talented and has a lot to offer any company. He lives well below his means, even with the lower income. He could significantly decrease the number of years it takes to reach FI by increasing his income, both via work and side hustling. that would enable him to save and invest much more. As a recovering engineer, I am both proud and take offense. I definitely love a good spreadsheet analysis, and this post did a great job laying out some modeling scenarios! Because of a decision we made early on in our marriage, we have a paid off apartment in Chile that will eventually easily bring us $10k per year in side income. We bought it in 2004 for my MIL to live in, and paid it off over the past fifteen years. It was relatively inexpensive ($40k) but because of Santiago’s insane real estate, it’s tripled in value over fifteen years. But we’d rather have the cash flow from the rental versus selling. Anyway, even if you’re side hustle doesn’t bring in income while you’re working, you might start setting up side gigs that can eventually be profitable or you in retirement (get used to that long term thinking). If they bring in $ now, even better! I think diversification is key to any retirement strategy. If you can continue to produce income in some way (real estate, a side hustle, dividends, etc) you don’t have to draw on your nest egg so quickly. It also feels “safer.” If the stock market begins to tumble you don’t have to worry, because you are still earning money. If your side gig fails it’s okay because you still own stocks. These strategies can ease many financial fears. I love the simplicity of the final equation. Its more detailed than the general equation (save more than you spend) but still very straight forward. The equations and concepts are straightforward, but the human elements are challenging. Finding ways to control behavioral economics problems (overconfidence, behavioral biases, cognitive biases, loss aversion, etc.) will provide a cornerstone to create faster change in the working/saving/investing world (aka the ESI world). We are getting started – for example, auto enrollment – but I think the behavioral aspects are important. One large issue with the human element is what “works” for one person is very different than what “works” for another. I like the idea of using savings and a side hustle. After my layoff I was able to ramp up my long time side job since I could take a few more jobs during the week instead of just weekends. That income definitely helps lower any withdraws you may need from your savings/ portfolio. Also, mentally you feel better about it as you still have some money coming in. Having a side hustle you enjoy is a small compromise to the commitment of a full time job. Mine is mostly fun and it allows me more time to myself. I don’t mind working, but the full-time job commitment doesn’t leave you with much time or energy for yourself. Great post! But I’m curious. Did you factor taxes into the math? I have both W2 income and income from my LLC, and the self employment taxes from the LLC are always changing because it’s hard to predict the exact income. Do your numbers work out only at a specified tax rate? I’m not sure what you mean. Taxes are an expense like food, clothing, etc. and will need to be paid out of your budgeted expenses. wish I could get my spending to $50k. Retired early. So paying own Insurance. That is $10k right there, assuming no huge incidents. Rent is 15-20k. Food $6k. Entertainment incl vacations $10k. So is about $400 a month plus 2 All inclusive trips + 2 quick trips. Clothing 1.8k. Auto is paid off but has repairs. $5k, but may get new car (used) and reduce this but have a cash outlay. Utilities 2.7k. Phone/TV/Internet $2.4k. Adds up quickly. There are few more. I guess I could do $50k or thereabouts without any travel, but isn’t that is what retirement is about. To ENJOY. Or if I could find lower cost residential. Am under budget for first 2 months by 1k. So on track. Passive income divi/int is about $77k depending on what stocks I have. Still have 33% in cash. Cash earns minimum 2.2%. So could up risk a bit and get higher divi. Guess I need a side hustle to add $15-$20k to be absolutely safe. Good luck all. Great demonstration of how powerful a side hustle can be in helping shorten the time to financial independence. I’m pursuing option #4. Realistically I wonder how many people consider having a side hustle (not alone building it to generate 25-50k/year) particularly since 1. It requires you to work very hard and long hours in your early career and 2. For many people, this is also the time they have small kids and have to focus on childrearing. I’ve always wondered if this explains why many of your millionnaire interviewees are men. Curious to know your thoughts! Interesting, I personally don’t think of myself as a Millionaire but more that my wife and I are Millionaires. We both work but I do currently earn significantly more, but life is a team sport. We are in it together and while we both have professional careers there is not doubt she has short changed hers a bit to be an amazing mom as well. That said she has a great career and is passionate about it. She isn’t so passionate about finances and is quite happy to let me do the worrying. But she is definitely still a Millionaire. Thanks for your comment gtmoney. That’s how we see it as well. I stay-at-home by choice, but we are millionaires. It helps our family function at its best. I gave up $100,000+ /year earning potential to do so. There are some things money cannot buy. I do think in many cases that the wife is the one that decides to stay home with kids. My wife did. She had a great career starting up in medical sales. That went on hold when the kids came. Financially it was a hit when she stopped working but we have zero regrets. I can’t imagine the sacrifices and work to do both- working and kids. Like GT said though- my wife and I are a team. It’s OUR financial situation not just mine- I just measure and track it day to day. I also truly think men are more money focused than women. Maybe it’s genetic or maybe cultural. I don’t know. Thanks 117! I’m a stay-at-home mom and neither of us regret it. It’s interesting, our marriage began with my husband having more interest in our finances and now it’s switched a bit. I discovered FI and now I’m teaching him. I like the concept of side hustles, but not one that takes 25 years to hone. I put all of my effort and energy in to being the best I can be at my job, my earnings have increased 50 fold in a 25 year career. I honestly think a side hustle would have impaired my career trajectory and I would have paid a price. Focus on career, earn more and the rest works itself out. I totally agree with your sentiments about putting the energy and time to grow your career, because that’s what I did. There’s lots of certifications you can get by studying at home, which does not cost much, providing you are willing to put the time to learn the content, I got certified in payroll (CPP), total cost about $1,000. Led me to process payroll for all Home Depot locations, including Canada.I took some calculated risk in investing in hotels to create a passive income, I was lucky that hotel group has done well, which led me to retirement. Over the years, I did loose money partnering in a smaller group – I take that as lessons learned. Like already mentioned above, we should not forget inflation. Will 50k really still be enough in 25 years? Likely not. Is there a reason why social security wasn’t included in the calculations? If all someone needs is $50k to live on, and their social security pays out $20k per year then using the 4% rule, they need $750k as opposed to $1.25 million. .04x750k = 30k. Personally, I count on zero from SS as part of my margin of safety. And if you’re retiring early, SS does not factor into the equation. That said, if you want to count SS, simply subtract it from the amount you’ll need to earn to reach your target. Well, I guess I didn’t count on this example being personal. That being said, I think the blog post could have been made clearer had that been stated. Thanks for the post. And if you want to add in SS, go ahead. The post makes it clear that you can add in all sorts of income. And again, if you’re looking for early retirement (which many people are), SS is not a factor. That’s a solid formula for wealth building… but easier said than done. Thanks for putting this article together. It’s always good to think about reaching retirement and spending/living goals.